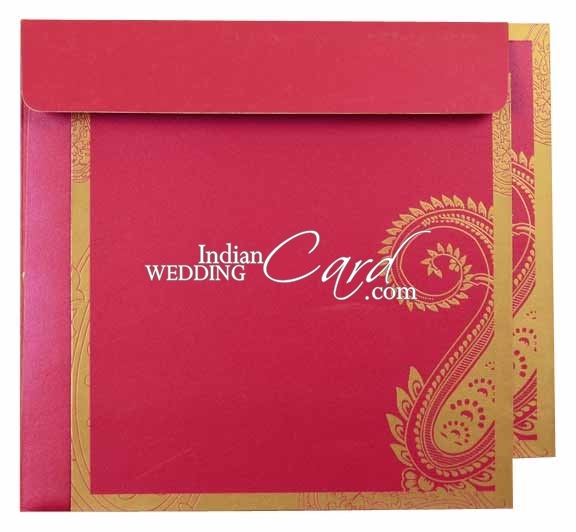 Paper: Hot Pink color shimmery board (250gsm) for docket style card, 2 inserts and mailing envelope. 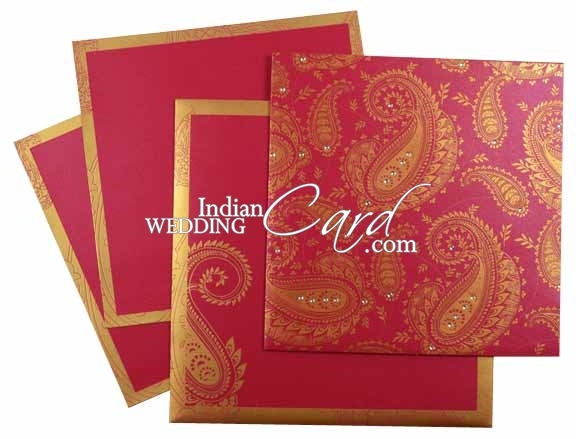 Description: The card has beautiful paisley design printed in GOLD all over on front of card with rhinestones and on inside pocket. Matching border on inserts, and mailing envelope. 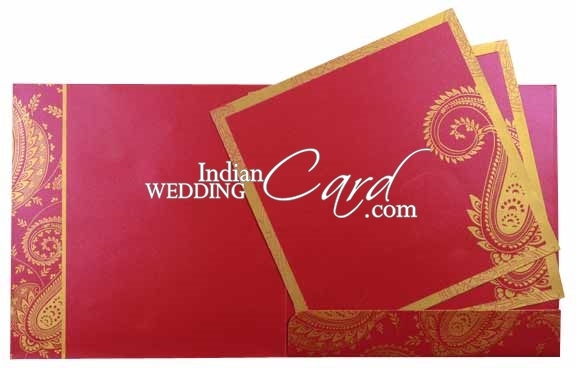 I just wanted to let u know that I received the wedding invitations today.I would like to thank you and your colleagues for all your hard work and tolet u know that we love the invitations-they are really beautiful. Thank you again for your professionalism and we now know to keep u in mind for our next event. We just got the invitations and they look wonderful. Again, you guys have done a wonderful job. Thank you so much for making my sister wedding a one to remember. Thank you so much for the cards. I received them today!!! They are beautiful....... I want to thank you for your prompt response and excellent customer service. I wish other companies are as wonderful as yours. I will let all of my friends and family know where to get wedding cards in the future.